The aim of this study was to estimate the prevalence of lower urinary tract symptoms (LUTS) among female elementary school teachers in Taipei. A total of 520 self-administered surveys were distributed to 26 elementary schools in Taipei City. Data analyses were based on 445 usable surveys. The prevalence rates for different types of LUTS ranged from 9.9 to 44.5%. The prevalence of urinary incontinence (UI; 26.7%) and nocturia (16.0%) fell within the prevalence estimates of these LUTS in North American and European women. 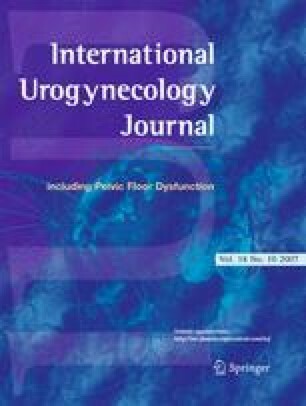 Employed women in this study were more likely to experience LUTS than women in previous epidemiological or community studies. This study extended research on UI into other LUTS among employed women in Asia. Study results suggest that the working environment may affect LUTS in female elementary school teachers. This preliminary study is important for developing future behavioral interventions for female LUTS in the workplace. The authors wish to acknowledge the assistance of all the elementary school teachers who participated in this study as well as Teresa Edwards (assistant director for survey research) and Christopher A. Wiesen (statistical analyst) at the Odum Institute for Research in Social Science, the University of North Carolina at Chapel Hill for consultation on the instrument development and the statistical analyses.